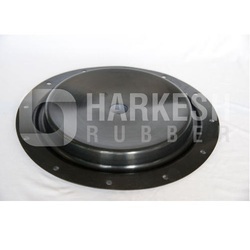 We Harkesh Rubber are manufacturer and exporter of moulded rubber products which have numerous applications in various industries such as Fluid Power & Control, Electrical, Food & Beverage, Aerospace & Defence Etc. 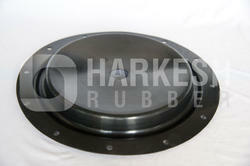 Major highlights in our product range includes Diaphragms, O rings, Quad Rings, Seals, Gaskets, Bellows etc. 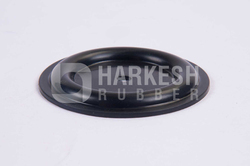 We are leading manufacturer of critical rubber components & providing one of the best elastomer sealing solution from since 1985. 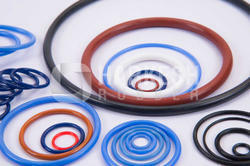 We are engaged in manufacturing rubber products by moulding process and have advanced manufacturing technologies such as a TUNG YU- Vacuum Compression Moulding Machines, DESMA- Injection Moulding Machines to provide customer finest quality rubber products with timely delivery. 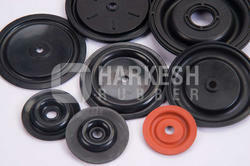 We are offering rubber products in different materials like NBR (Buna-N), EPDM, VITON (FKM), Silicone, Neoprene, HNBR, Fluro-silicone etc. 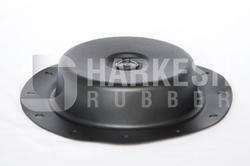 We are procuring raw materials from suppliers like LANXESS, DAIKIN, DUPONT, WACKER Etc. 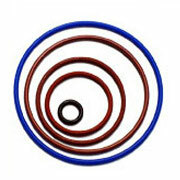 All of them have proven name in market for their top quality raw material.